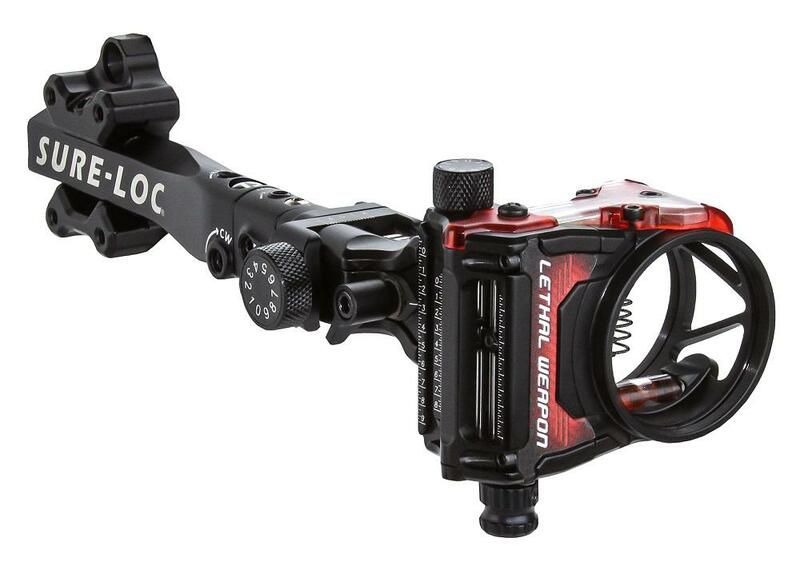 Sure-Loc Lethal Weapon Red Archery Supplies Australia's largest and Best Archery Equipment warehouse. Dove tail mount, with light, pins enclosed in stainless steel tubes. comes with a light, has bit over half a glo ring - some sights have a complete circle. Axcel AccuHunter Sight 1 Pin Green .019"